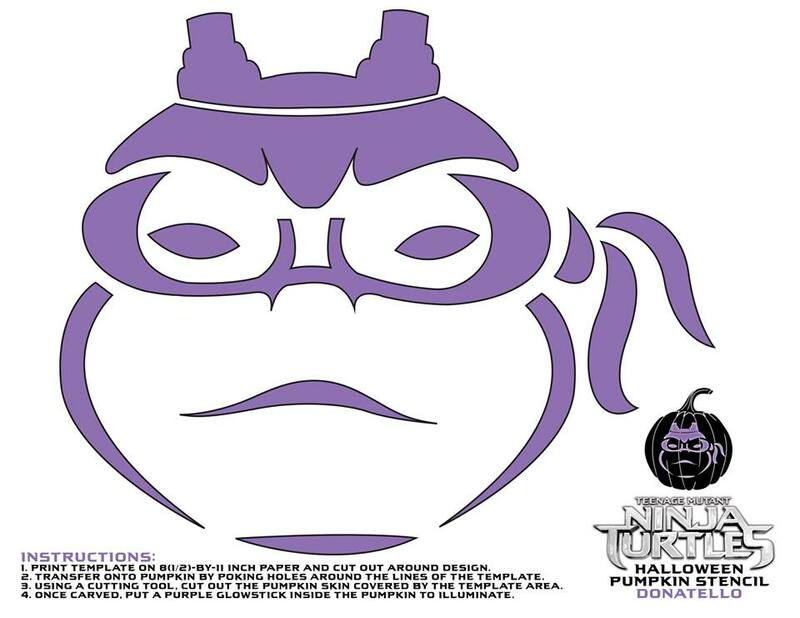 Here are a few Teenage Mutant Ninja Turtles Pumpkin Stencils just in time for Halloween. This is such an easy Halloween craft to do and you know that I am all about simple. The kids love to carve pumpkins, but sometimes they don’t know what to MAKE. If they are looking for a little turtle power, hopefully, this post will offer up a little guidance. Simply right click on the images below and save them to your desktop. Then print out as many copies as you’d like. I’m sure your kids will love creating Teenage Mutant Ninja Turtles using these stencils. Don’t forget – if you want to accentuate your turtle’s power, be sure to put a glow stick inside your pumpkin that matches the color of the template. 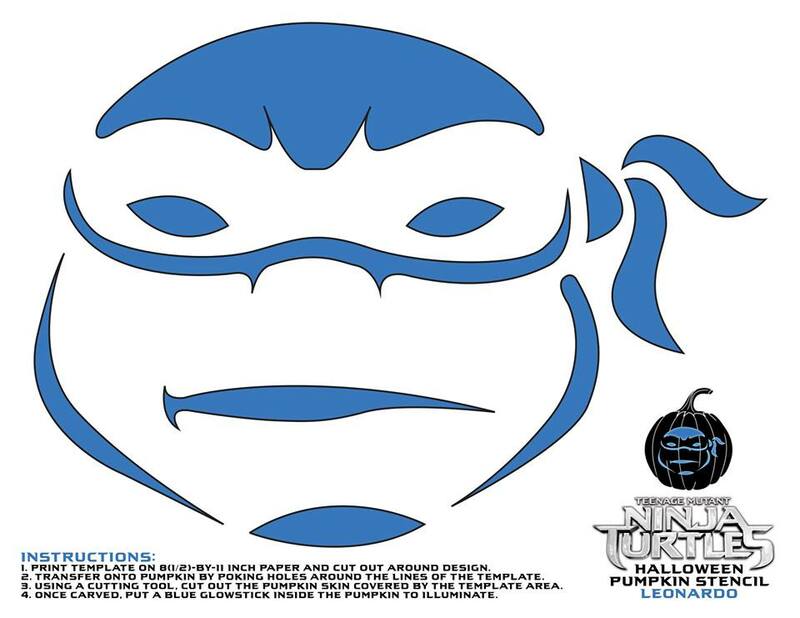 I love how there are so many different Teenage Mutant Ninja Turtles Pumpkin Stencils to choose from! Who is your favorite? Leonardo? Donatello? Michelangelo? or Raphael?! Each turtle has a signature color. Just in case you aren’t familiar – let me bread it down for you because these Halloween stencils are color coded. Michaelangelo (Mickey), wears an orange mask. Leonardo (Leo), wears a blue mask. 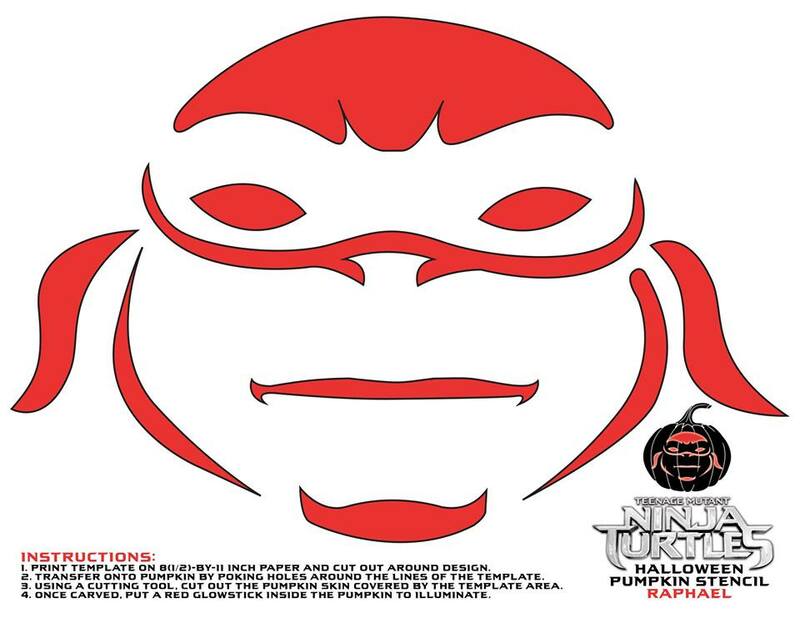 Raphael (Raph), wears a red mask. Donatello (Donnie), wears a purple mask. 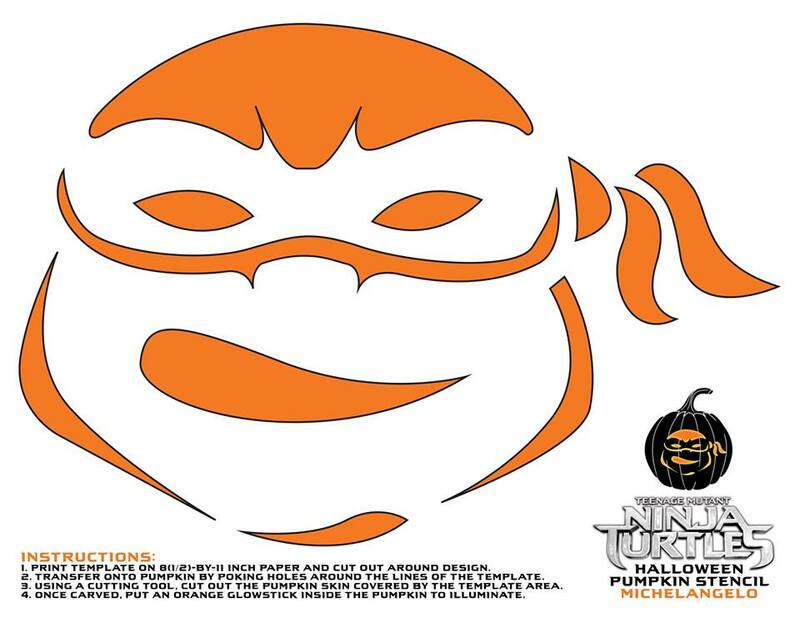 So, be sure to ask your son or daughter who is their favorite ninja and then surprise them with their very own pumpkin stencil. Are you looking for more Halloween ideas to do with the kids?